In the ’80s-set series, Marcus (Benjamin Wadsworth), a homeless teen, is recruited by the school…and he quickly finds himself in over his head. There are complicated love triangles, rival gangs, and, oh, yeah, pretty deadly courses to survive. 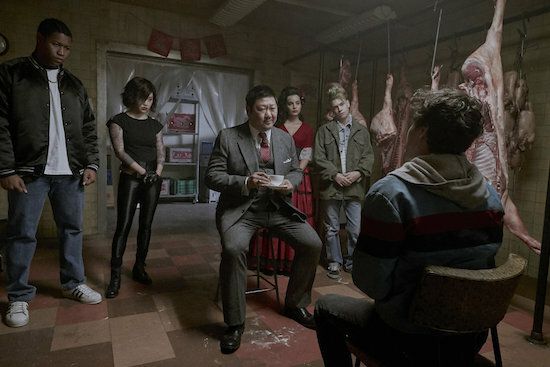 The show also stars Benedict Wong, Lana Condor, María Gabriela de Faría, Luke Tennie, Liam James, and Michel Duval. Check out more from the cast!